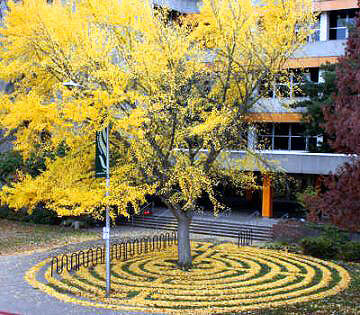 Labyrinth created from Ginkgo leaves by Joanna Hedrick, counselor at the Sacramento State University Student Service Center. Since 2013 she rakes the fallen Ginkgo leaves on the campus in the fall season to create pieces of environmental art. 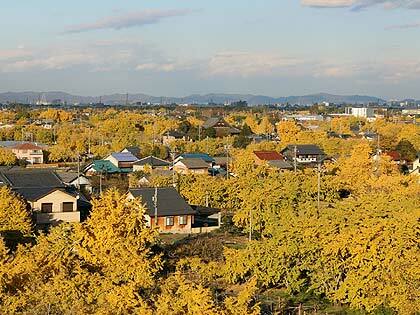 "The ginkgo is my favorite tree," says Hedrick. "I make the circles to replicate the rings of the trees in nature."